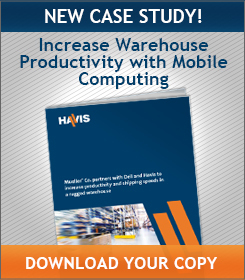 Check Out Havis in Field Technologies Magazine! This month, Field Technologies magazine gave us the opportunity to write an article on how fleet managers can successfully build a complete mobile office solution. We\’re excited to announce that the article, “Best-In-Class Fleet Managers Evolve With Mobility Trends,” written by our Director of Business Development and Marketing, Keith Steidle, was published in their May 2013 issue. We teamed up with Field Technologies on this article in order to address the challenges fleet manager\’s face in the ever-changing mobile business environment. As some of you may know quite well, best-in-class fleet managers must continually adapt to new vehicles, technology and legislation in order to remain leaders in the industry, plan for upcoming budgets, and implement the right mobility solution for their fleet. We felt it was important to point out that fleet managers are accountable for significant organizational assets, including staff, vehicles, mobile office equipment and other key resources. Fleet managers are also becoming more involved with operational managers in the selection of mobility solutions, and together, they must identify, prioritize and prompty resolve the issues affecting drivers. 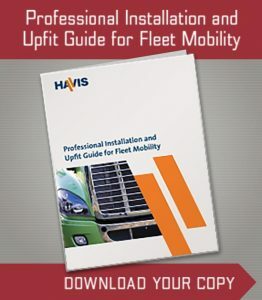 With the authority to make purchasing decisions, fleet managers shoulder the massive responsibility of selecting the most appropriate products that will increase productivity within their mobile workforce while decreasing overall costs. So how can fleet managers successful accomplish this goal? We find that with proper research, you can select the right product partners who will understand your business problems and assist in resolving these issues with their own products and services. When choosing your partners, be prepared with a targeted list of requirements, such as corporate capabilities, core values, and testing and quality standards. Through rigorous networking and communication, fleet managers can build an ecosystem of partners that will support their corporate strategy, enhance their mobility solutions, and promote innovation in the mobile industry. At Havis, we\’ve been diligent over the years to develop our own ecosystem of partners in order to better meet the needs of our customers. For example, one of the main concerns among fleet managers is how to protect the expensive hardware and software inside each mobile office. 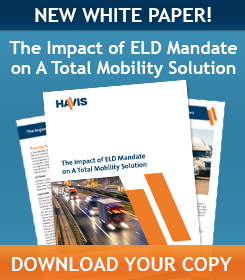 Havis helps alleviate this concern by offering high-quality mounting and docking products as key components to a total mobility solution. These products not only improve mobile worker safety and comfort in the vehicle, but they also enhance the security of the fleet\’s technology. With more than one billion automobiles in the world, the fleet industry is rapidly expanding and evolving. Successful fleet managers adapt to new mobility and technology trends, focus on strategic objectives, align themselves with industry-leading business partners, and remain committed to accomplishing their goals.